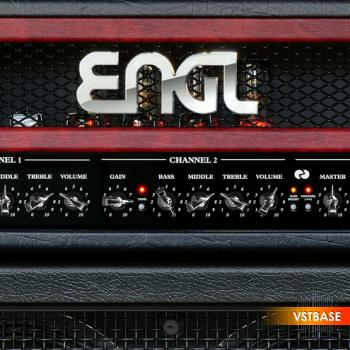 This amp is lesser known than the 646, but you should listen to the audio examples below. Very versatile, rocking amp for anything from Jazz to Hard Rock. Less aggressive than a 646, but reaching into metal territory, especially if you combine it with some nice pedals, and can be played with more expression as it reacts to the incoming signal very realistic. If you like to play with the volume knob on your guitar, this is your amp! Old school vintage tones to modern higher gain sounds. Accurate amp modeling and advanced speaker simulation (Impulse Responses), capturing high-end studio gear, plus recording-specific features like filters and a great noise gate. Two channels: Channel 1 and Channel 2, each channel with separate Gain and Volume knobs. Two voicing sections specially tuned for each channel: One three-band EQ for Channel 1 and one three-band EQ for Channel 2. Tight and Smooth filters (Hi-Pass/Low-Pass), selectable Pre and Post amp. 64 selectable Recording Chains: Get the full sound instantly by using Brainworx’ Advanced IR Technology.